Readers, this month we asked one of our trusted therapists who specializes in working with couples to contribute an article on domestic violence. In her piece below, Dr. Marni Feuerman, LCSW, LMFT discusses how commonplace certain forms can be. We hope you find it helpful! You have probably heard a story like this (or might even be yours). Someone you know—a typically mild-mannered professional friend of yours who just got arrested on a domestic violence charge. You are shocked to hear this news as this is the last person you would expect to get arrested for something like this. Well, I have news for you too—your friend is also shocked (and likely embarrassed and ashamed). Sometimes these incidents happen suddenly after a trigger that causes someone to “lose it.” Other times it happens on occasion when fights get too escalated between a husband and wife. Such occasional violence between a couple is termed situational couple violence, and it’s not only different from other forms of violence, but it is also surprisingly commonplace. Over the past several years, research on the topic of violence between intimate partners has shown that such violence varies in type and pattern. 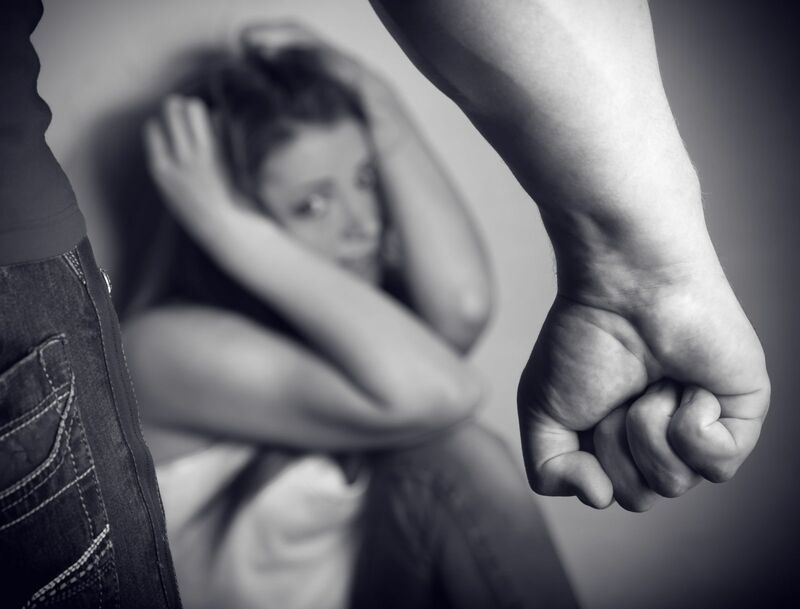 Violence is never acceptable, however, understanding the difference between an ongoing pattern of domestic violence and infrequent or random situation violence is essential. Such information has implications in the legal, treatment and educational arenas impacting child custody and access disputes, parenting plans, the parent-child relationship and the co-parenting relationship during separation and divorce. The different types also affect decisions as to whether or not reconciliation measures, such as marriage therapy, are contraindicated. How likely the violence is going to cease or come up again in the future also varies by type. Let’s take a closer look at these matters as it relates to the four forms of violence. This is a chronic pattern of emotional abuse, intimidation, coercion, and control combined with physical violence against a partner that is also known as “battering.” Characterized by power and control, it is more often by a male perpetrator towards a female victim. Perpetrators of this violence often show clinically significant symptoms of personality disorder traits (i.e., sociopathy) and misogynistic attitudes. The violent behaviors may even continue after the demise of the relationship with ongoing intimidation, threats, and stalking. The victim is often left in constant fear of retaliation and often suffers ongoing psychological symptoms. This type of violence does not have its basis in the dynamic of power, coercion, and control. Perpetrated roughly equal amongst the genders, it plays out quite differently than the other types of violence and has very different causes and consequences. This type of violence generally results from situations or arguments between partners that escalate on occasion into physical violence because one (or both) partners poorly manage their conflicts or control their anger. The violent acts are most often “minor” in nature (i.e., a scratching, pushing, grabbing) and does not result in major injury. This type of violence is also not likely to escalate over time during the course of the relationship. It may involve one isolated incident or occur sporadically or regularly during arguments. There may also be verbally aggressive behaviors (i.e., cursing, yelling, name calling) and feelings of jealousy within the relationship. This is violence that occurs for the very first time in the relationship and precipitates an initial separation (i.e., partner asks for a divorce or serves partner with divorce papers). This term, separation-instigated violence, is only used if there is no prior history of violence in the relationship. It frequently viewed as both unexpected and uncharacteristic of the person who usually has a reliable history of “normal” and civilized behavior. Instances of this sort of violence are often a sudden lashing out, throwing objects at the partner, destroying property (cherished pictures/heirlooms, throwing clothes into the street), brandishing a weapon and sideswiping or ramming the partner’s car. The partner instigating such violence is more likely to acknowledge their aberrant behavior rather than deny or deflect it. They are often embarrassed, ashamed, and remorseful of their actions as well. These people that seem to suddenly “snap” have often been very caring, involved parents during the marital relationship, with good relationships with their children. Shocked and scared by the unaccustomed violence, the victim (and often the children) may, unfortunately, assume a new image of this person as dangerous. For professionals in family court or the private sector, it is crucial to complete proper assessments and ask the right questions to distinguish the forms of violence just mentioned. Professional guidance should be sought from those with specialized training in this area. Appropriate treatment recommendations should be made depending on the assessment results. With situational violence, it is often recommended people attend cognitive behavioral groups and treatment with a focus on skills needed to prevent arguments from escalating to verbal aggression and ultimately to violence. These groups teach both behavioral and thought restructuring anger management techniques. Exercises are also designed to develop effective communication skills including the ability to use assertiveness without the need for aggressiveness. These, as well as other approaches, are also used in marriage counseling sessions with both partners participating. On the contrary, couples therapy approaches are almost never recommended for coercive controlling violence or batterer programs because of the threat and ongoing fear they might pose to victims. Therapeutic strategies are typically used in a group format composed only of violent men or women and without their partners present. Partners are not treated together until there is a significant amount of physical and emotional safety to the victim. In conclusion, current research provides a substantial amount of evidence for the need to distinguish among the different types of violence that can occur between romantic partners. In the forensic arena, such categories of violent behavior are beneficial to those required to make recommendations and decisions about child custody, parenting plans, treatment programs, and legal sanctions. Programs that focus on the reasons for and circumstances surrounding the different types of violence are more likely to achieve positive results than merely using a one-size-fits-all approach. Kelly, J. B., & Johnson, M. P. (2008). Differentiation among types of intimate partner violence: Research update and implications for interventions. Family court review, 46(3), 476-499. Dr. Marni Feuerman is a licensed clinical social worker and licensed marriage and family therapist specializing in working with couples in her Boca Raton private practice. She is a nationally recognized relationship expert, media contributor, and author. Learn more at TheTalkingSolution.com and subscribe to her newsletter!